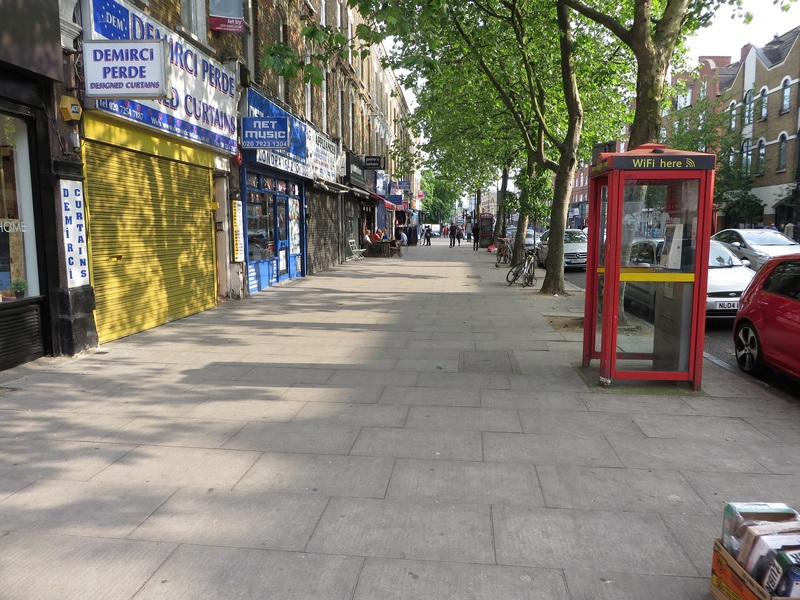 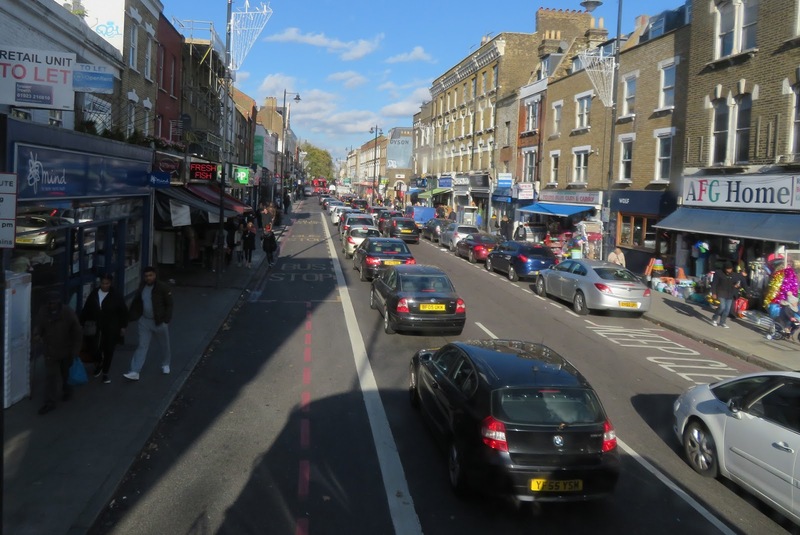 Transport for London are currently consulting on the removal of the Stoke Newington Gyratory, having worked with Hackney Council on the plans for over a decade. They state that the main aims of this scheme are to remove a barrier to cycling, create new traffic-free public spaces and creating a more attractive and less traffic-dominated environment for people. 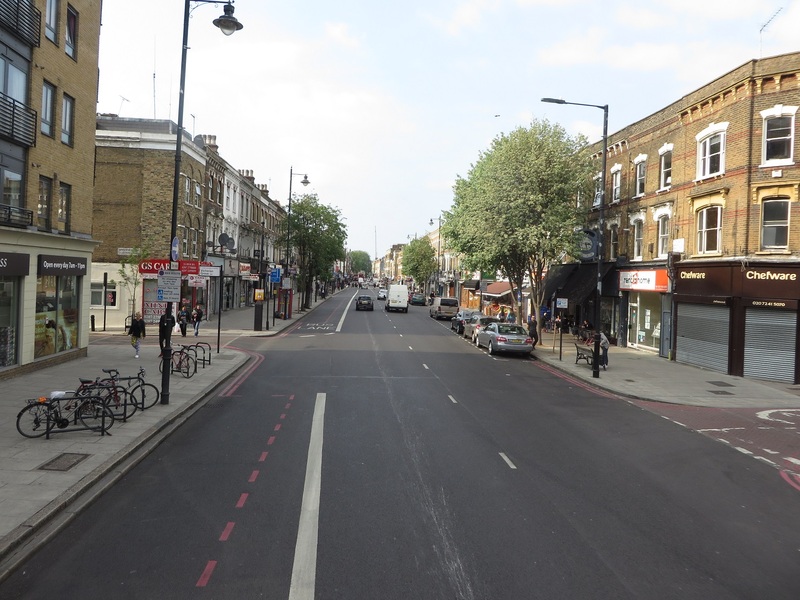 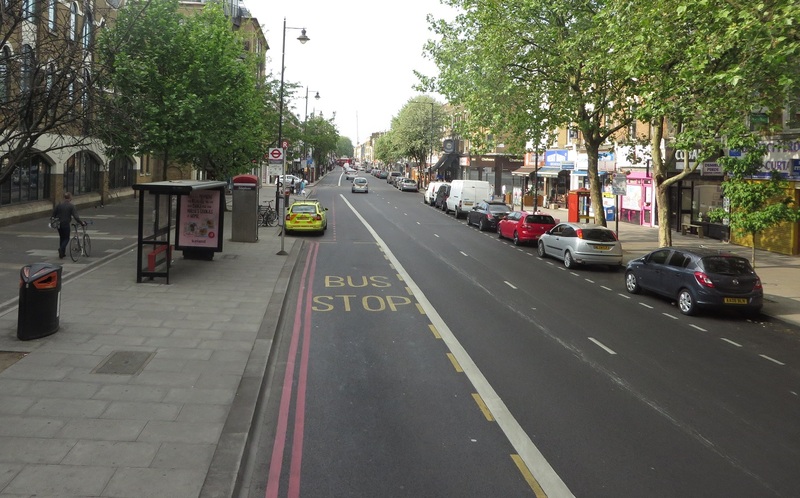 Creating this bus and cycle lane will ensure a more direct and shorter journey for those who already travel south on the A10 by bike, as well as giving direct access to the shops on the high street for those coming from the north to visit Stoke Newington via bike. 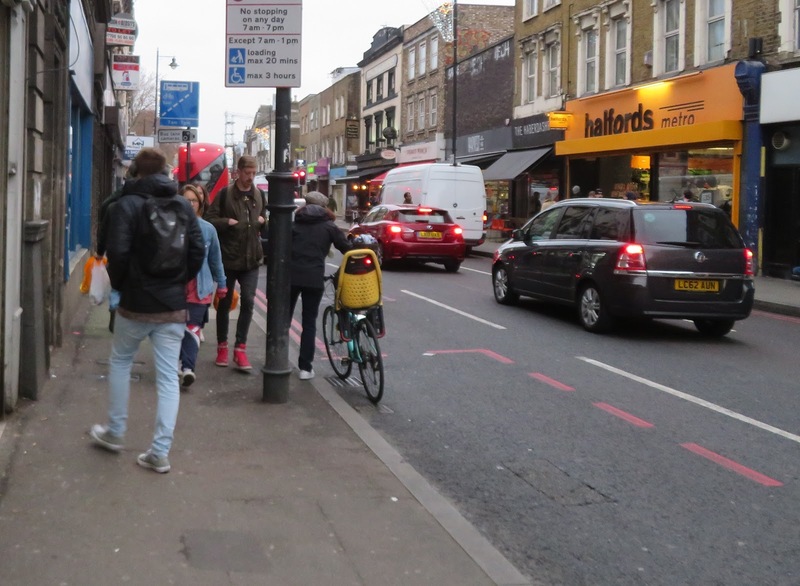 However expecting the majority of people to cycle with buses in a bus lane is a misconception and will do little to encourage more people to shift to cycling, especially children, families cycling together, or the elderly. 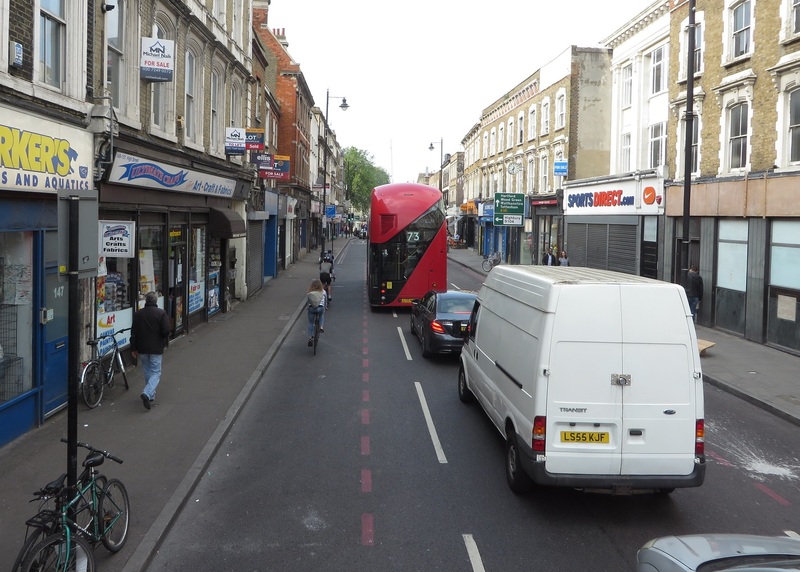 Cycling with buses in a narrow bus lane would be uncomfortable and more dangerous than having a separate cycle track, as well as less convenient for bus passengers, who would surely be delayed by cyclists in the bus lane, especially at peak times. 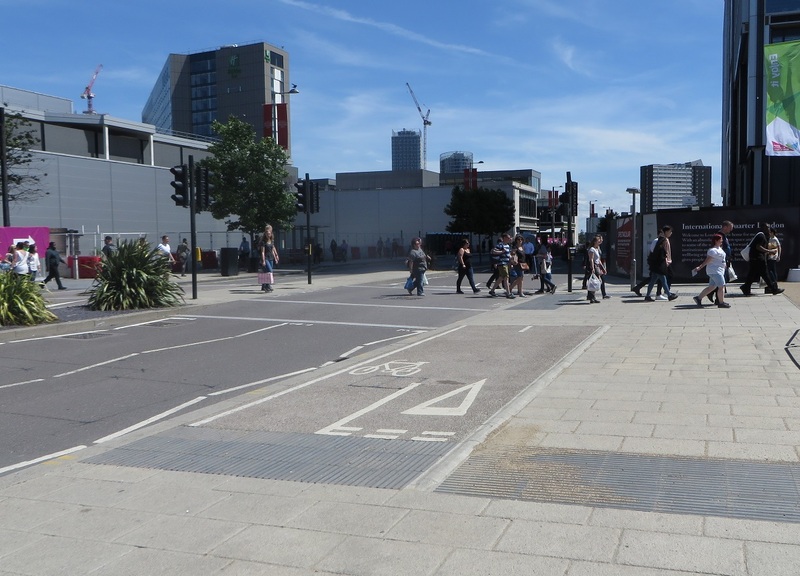 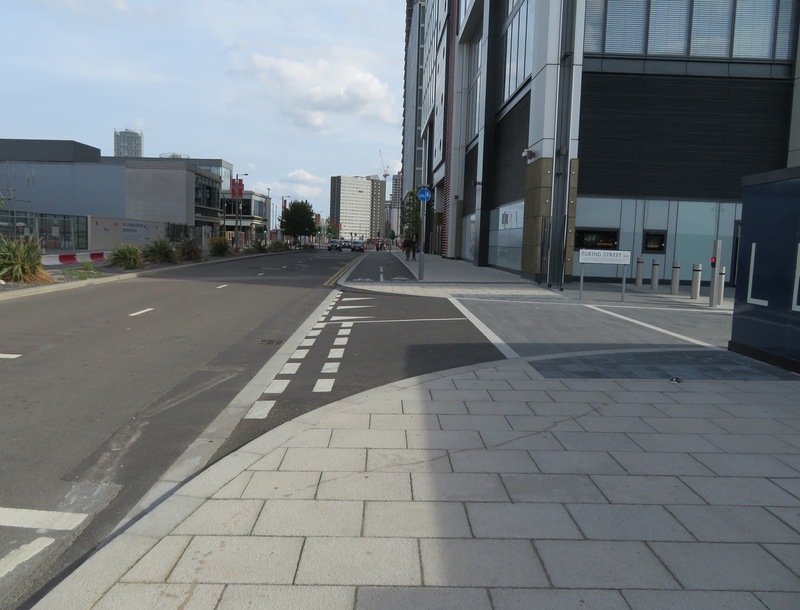 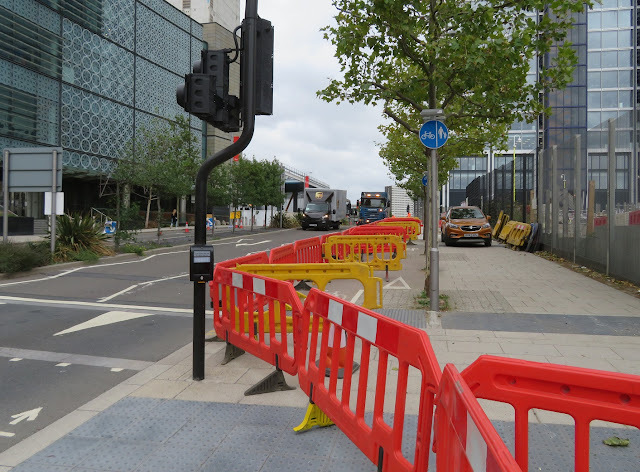 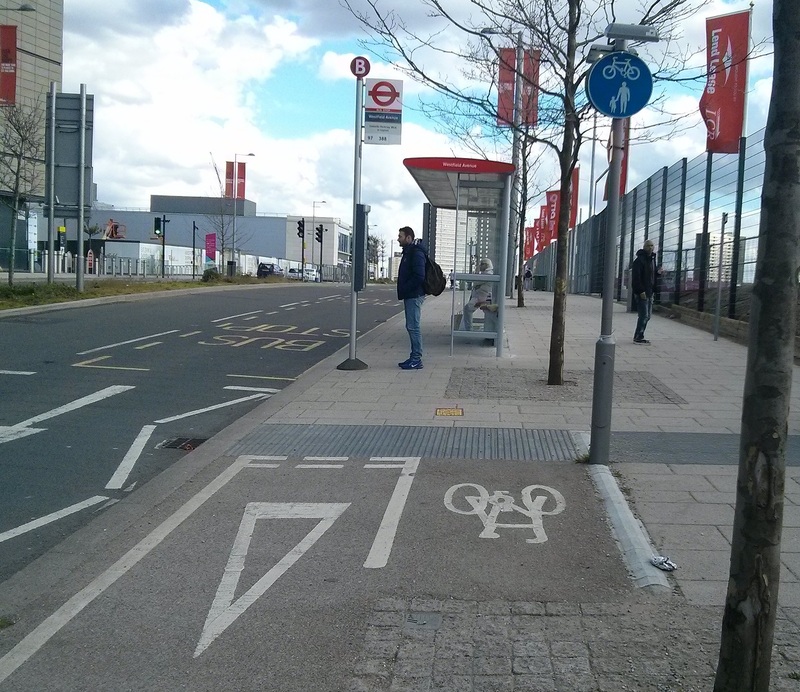 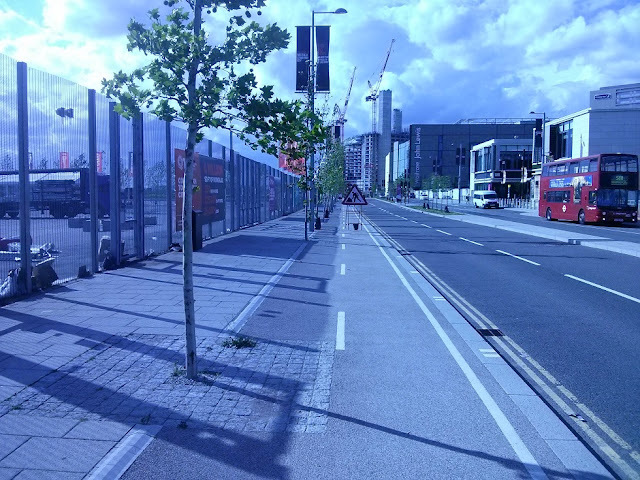 The Northbound cycle track does appear to be adequate and it is good to see a floating bus stop, although is inconsistent with regards to its treatment to loading bays, being routed behind one and in front of the other, with vehicles crossing the cycle track to get to the loading bay. 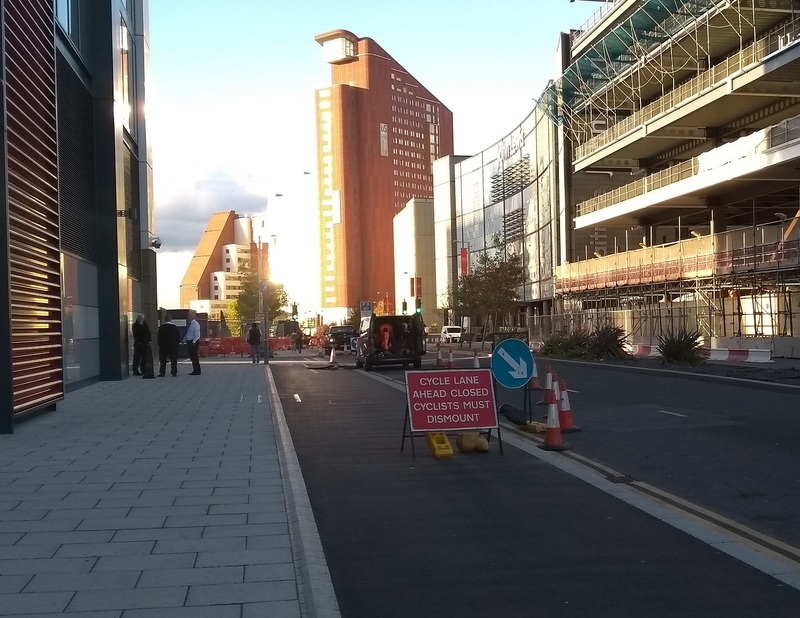 I see no reason as to why the cycle track cannot go behind both loading bays. 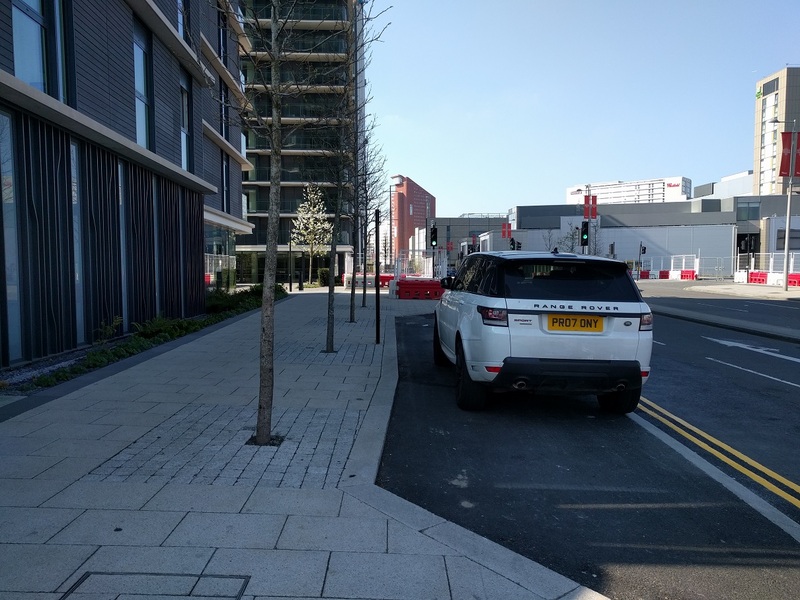 Batley, Hollar and Tysen Roads are also planned to be closed at the A10 and whilst calling them "pocket parks" may be a slight over exaggeration it will create better conditions for pedestrians as well as some space for seating, trees and cycle parking. 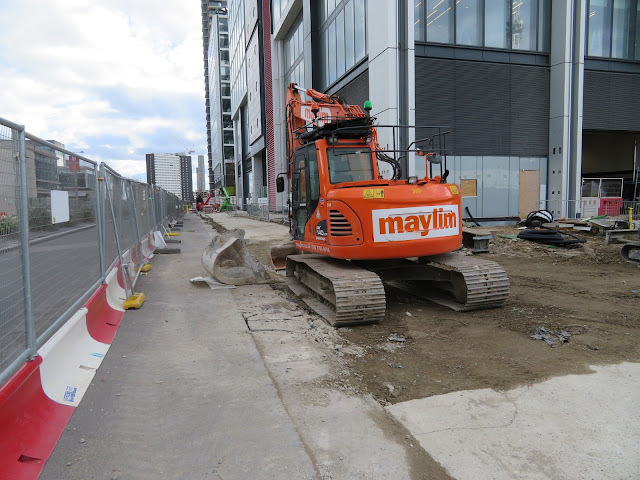 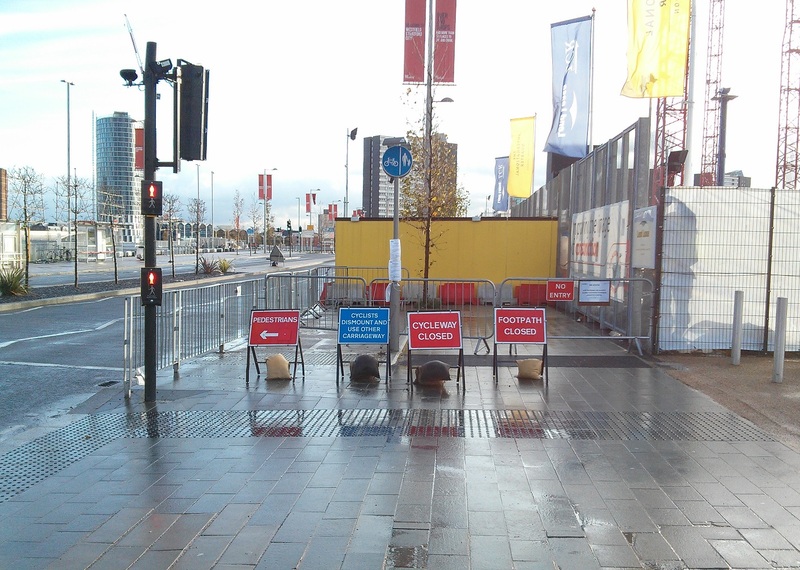 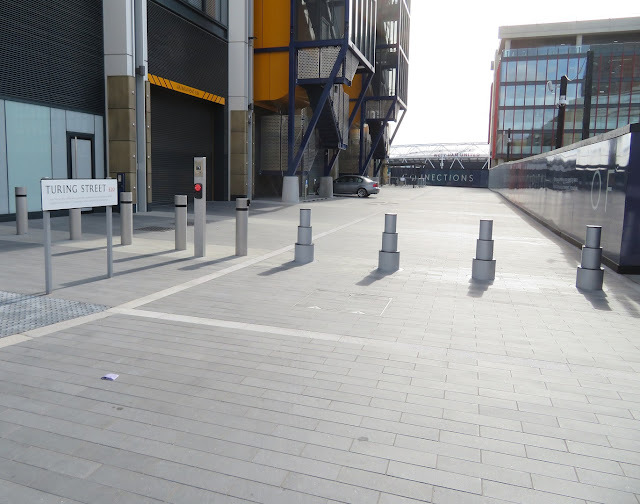 However the loading bay is to remain here, located on the cycle track, with loading only allowed to take place from 7-10am. 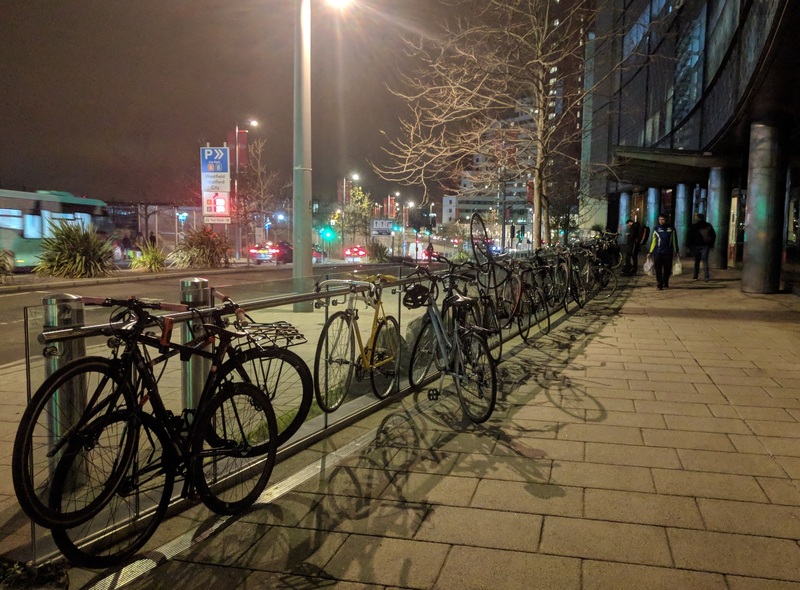 Whilst the logic behind this can be appreciated (as most people currently cycling here in the morning peak will be travelling south, towards Central London) this excludes many of the kind of people TfL are hoping to switch to cycling from other modes. 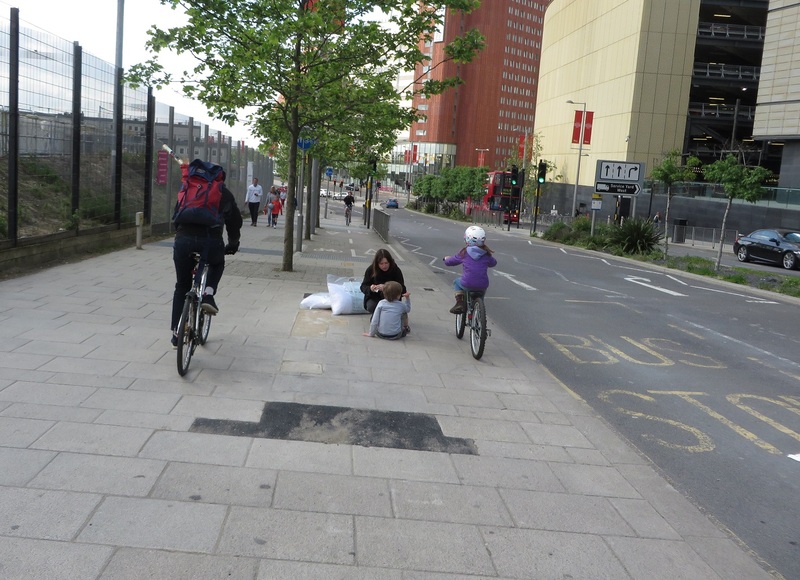 In particular children cycling to school, instead of being driven there. 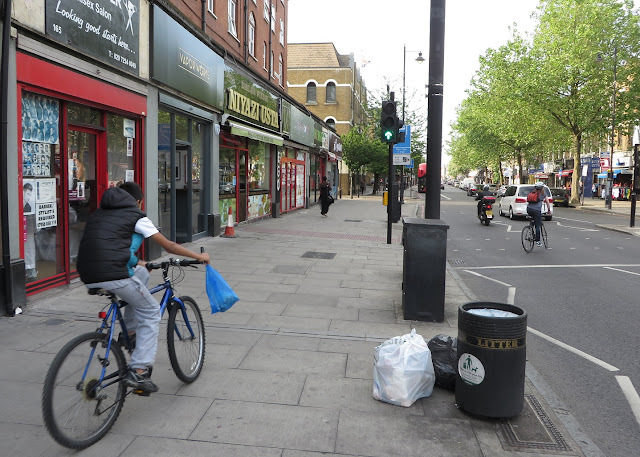 I also remember being informed that the planned protected cycle track on Cycle Superhighway 2 alongside Whitechapel Market would not be going ahead but loading for the market would be restricted to 20 minutes at a time. Well everyday I cycle past Whitechapel Market (the worst stretch of CS2 by far) and the same vans are parked in the same places, hour after hour, day after day. 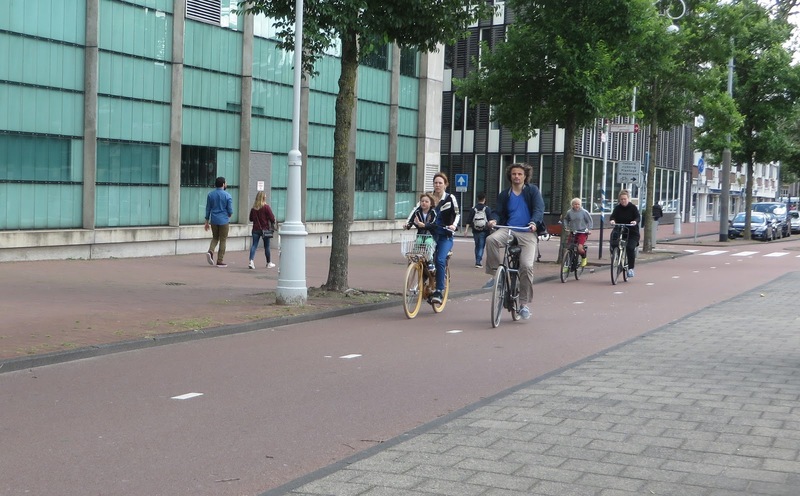 I suspect enforcement of this cycle track would be similar with vehicles parked in it at all hours of the day. This is also a busy bus route and it would be unthinkable for the many young children who use this road on a bike everyday to cycle in the same lanes as buses. 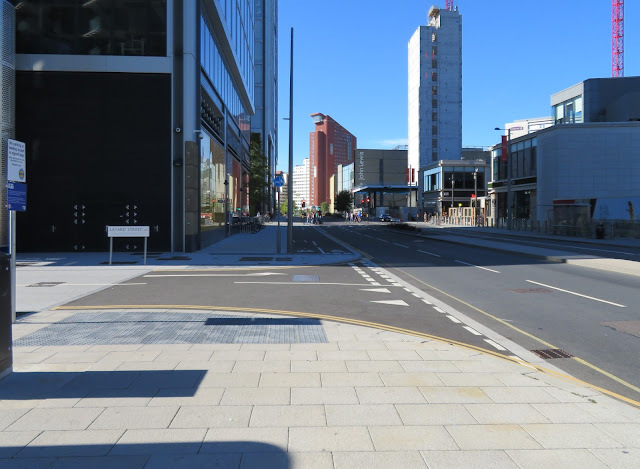 The road is also restricted to buses only in one direction and as an exit from the City Centre from certain routes to other motor traffic, reducing any delays to buses who almost always have a clear, empty road to drive down. Interestingly Nobelstraat also used to be one way for motor traffic as part of a gyratory system, which you can read more about here by Mark Wagenbuur. 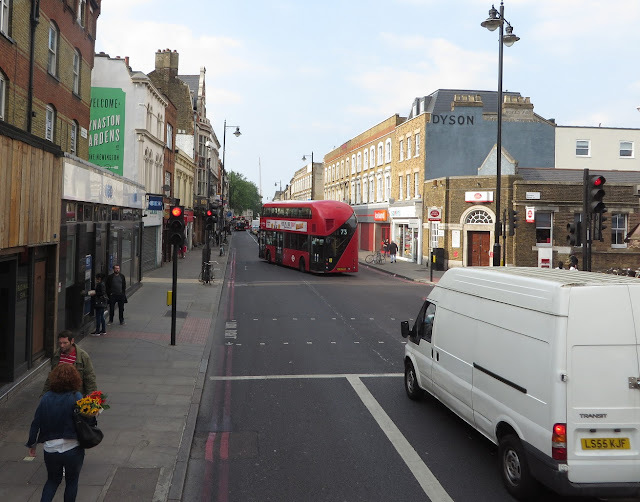 The added advantage of a tight bus road also means buses would proceed at a slower speed at this particular section, increasing safety for all. 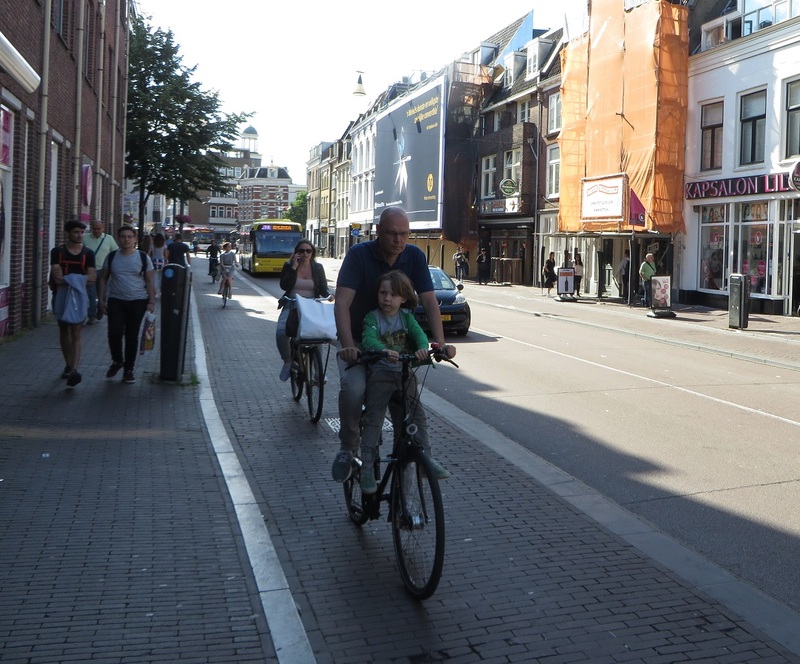 The footways along this stretch are already very narrow so perhaps having the street lamps strung between buildings, as is the case on Nobletstraat, would free up footway space. 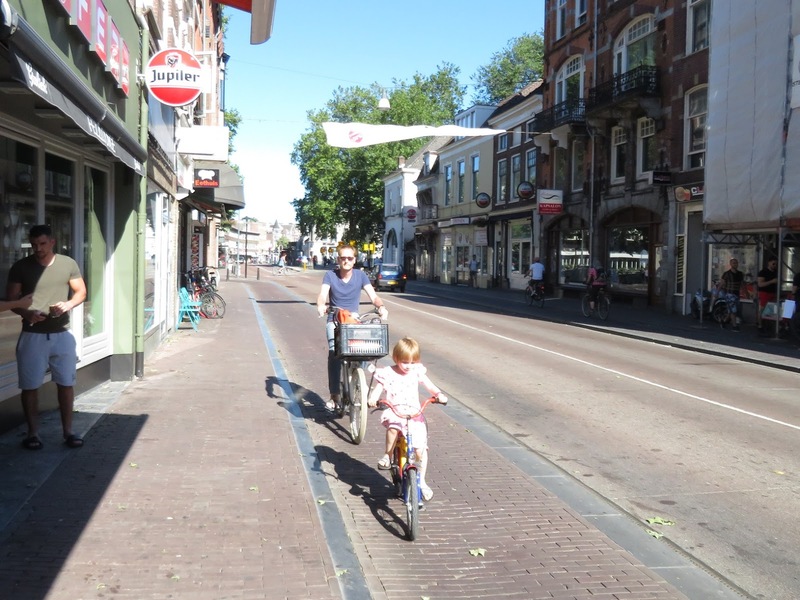 A similar layout can be found today on Leidsestraat in Amsterdam, although the Dutch have since removed the private motor traffic from this street! 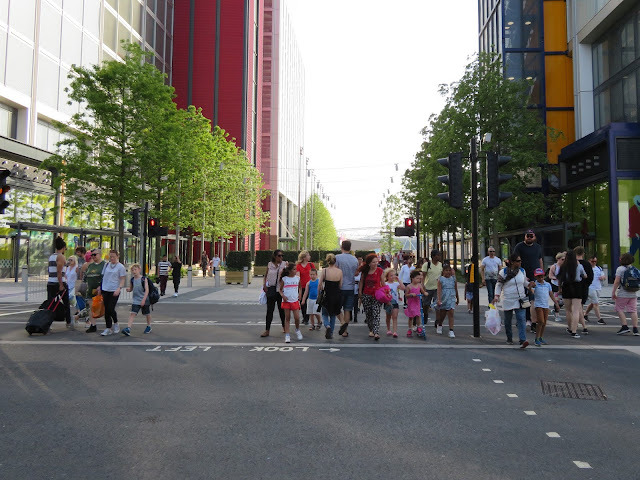 Making streets car-free is the easy bit. Turning them into @thehappycity is not! 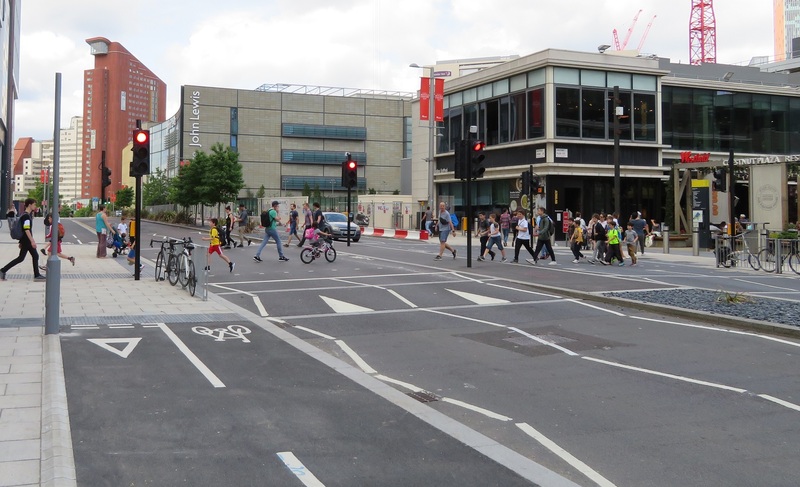 This consultation has been a long time coming but unfortunately looks unlikely to achieve the Mayor of London's Vision Zero target or his promise to make London a byword for cycling. 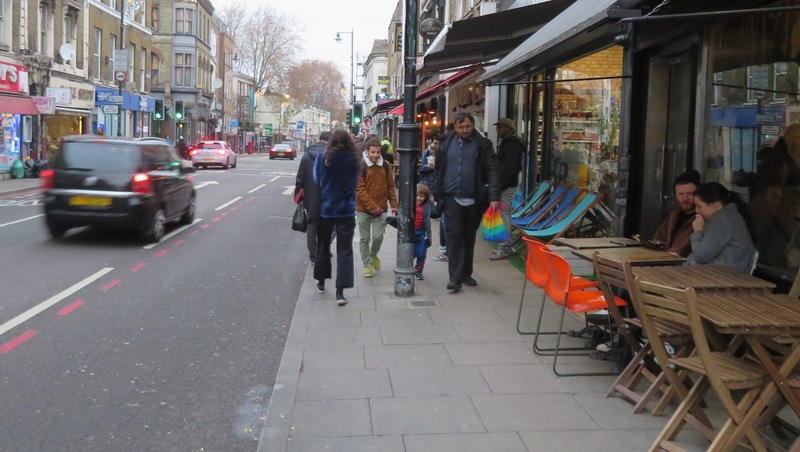 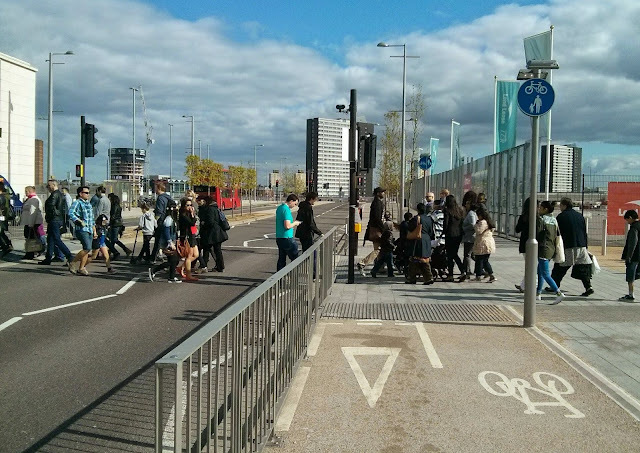 It does not put people walking or cycling at the top of the transport Hierarchy and provides far too much space for the private car to enable healthy streets or a less traffic-dominated environment for people. 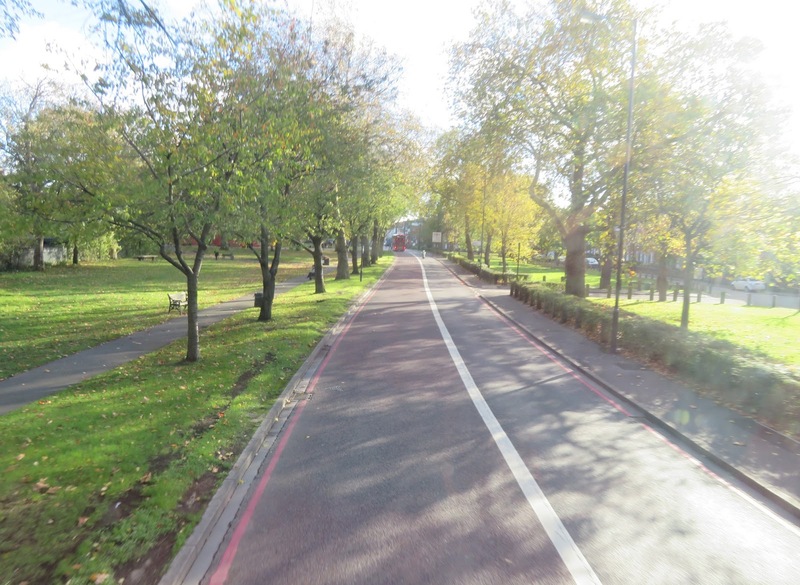 The consultation closes this Friday 30th November. 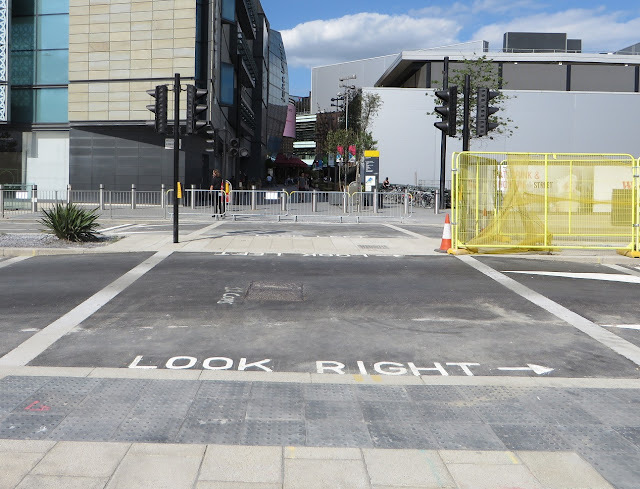 You can respond here. 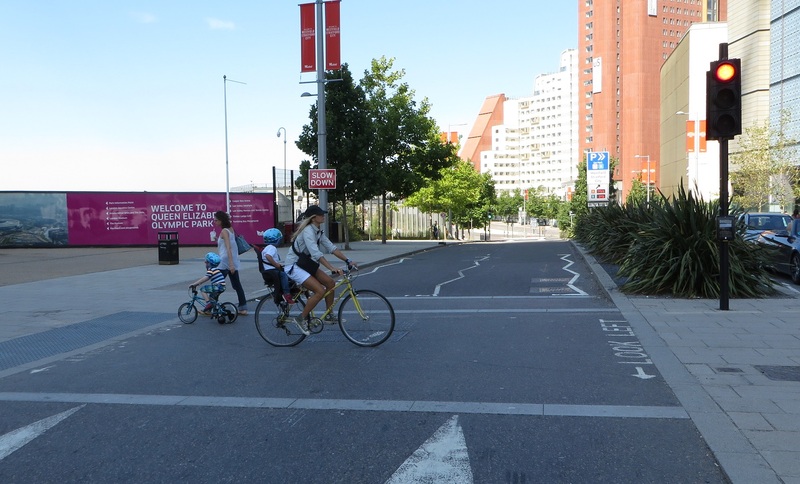 Which made it much easier for the crowds of families visiting the park to cross on foot, with pushchairs or on bikes. 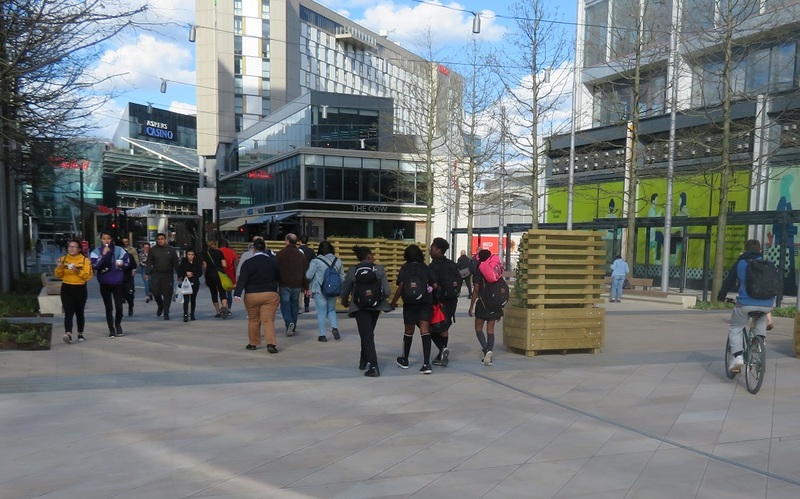 Whilst this is a welcome move by Westfield there are unfortunately still not enough stands here to cater for demand, especially at peak times. 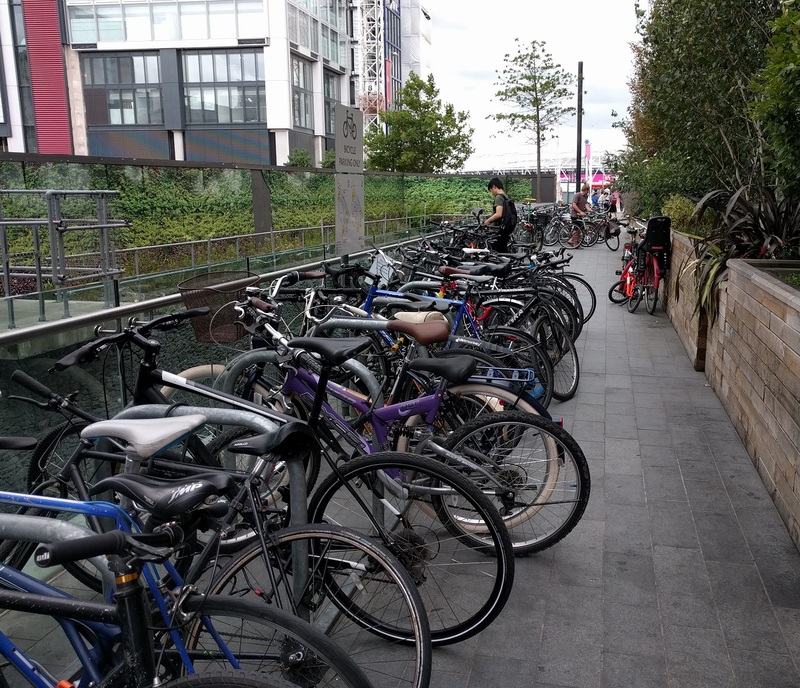 I've noticed fewer people on bikes parking near Westfield over the last year and must admit I find myself going there less than I used to. Since the changes to the road layout and cycle parking I'm finding it much less convenient to visit. In early 2018 the main toucan crossing was rebuilt, this time as another direct crossing to replace the previous staggered crossing, although I noticed the old "green light" for pedestrians and cycles has been replaced by one just for those on foot so I think this technically is now not a toucan crossing, although plenty of people on bikes still use it of course. Thankfully these were quickly removed but were replaced by large rows of hedges in planters, presumably to slow people cycling down, with the added advantage of being able to attach posters reminding you that you are on private property where the rules are only available by emailing or phoning. Normally I would welcome the opportunity to rebuild the cycle track here and construct a proper bus stop bypass but this is the London Legacy Development Corporation and so I expect any changes to the road layout will be for the worse, at least if you're on a bike. These construction works should have provided the perfect opportunity to reconstruct Westfield Avenue as a single lane road, with cycle tracks along both sides, along with plenty of cycle parking. 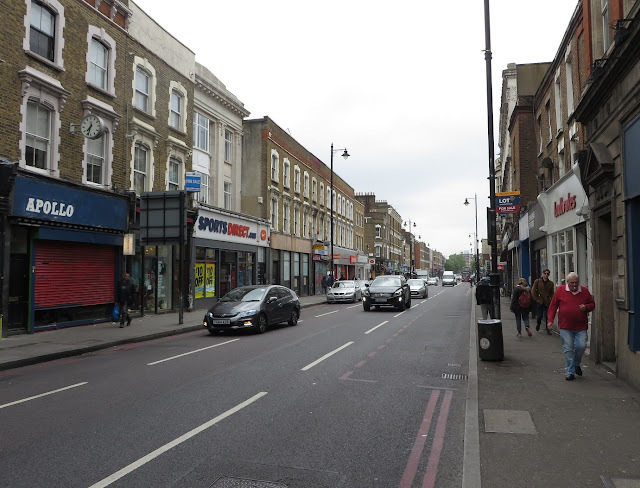 There is an argument that through motor traffic could be removed from this road altogether as traffic is already fairly light here. 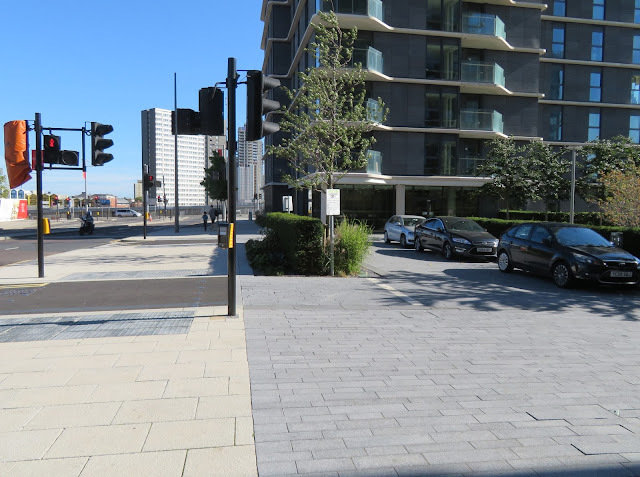 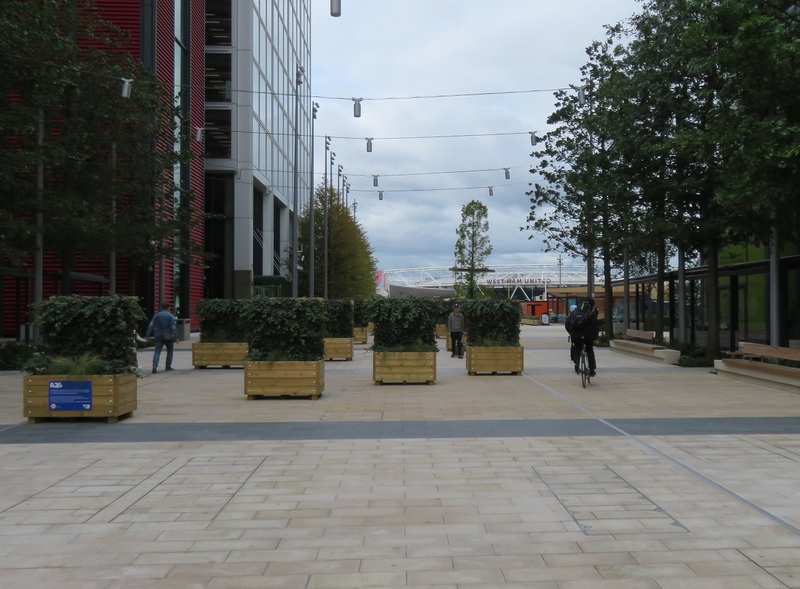 It does not serve any car parks or service areas of Westfield and does not go anywhere particularly useful as the railway lines and Stratford station form a barrier, meaning a lengthy drive on Montfitchet Road to get anywhere useful. 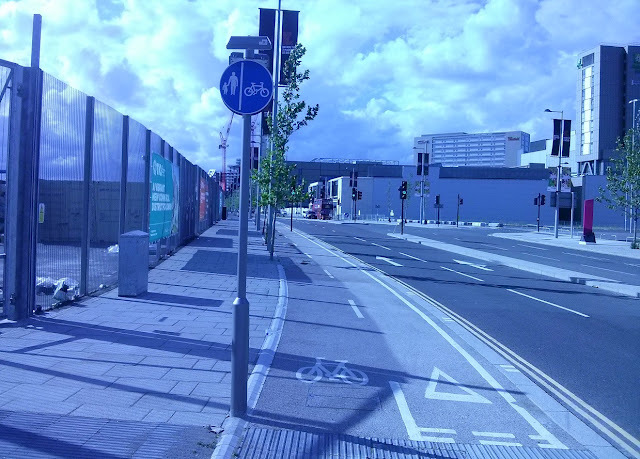 I find it depressing to see the changes along here over the years at what was a wasted opportunity to create an Olympic legacy, especially when you compare it to new developments elsewhere. 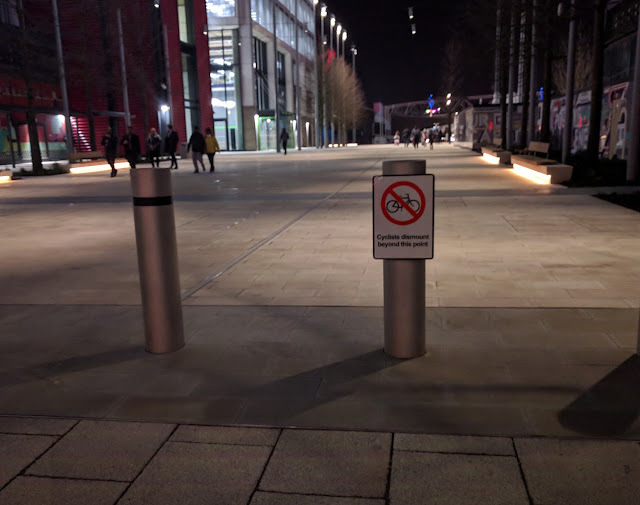 Another opportunity missed.